We can wall mount your TV and install surround sound speakers. Having done over 100 installations we can assist you in the proper mount to use. Another consideration is the cabling required for your TV. Our expertise includes hiding your wiring inside the wall for a clean professional installation. Let us help you to "get it right" by consulting with us before purchasing your mount and cabling. A wall mounted TV is a work of art in any room. Hiding unsightly wires is an important feature when installing your TV. We will properly center and level your TV, hide your video cables, and install a new outlet. It's important to use wires listed for running through walls. NEVER put an extension cord inside a wall. Instead have an outlet installed behind the TV. We install in-wall speakers, cable lines, HDMI cables, and network lines. We can fish your speaker wires through the walls to hard to reach places. We can install a flexible conduit to allow you to add or change cables at will. 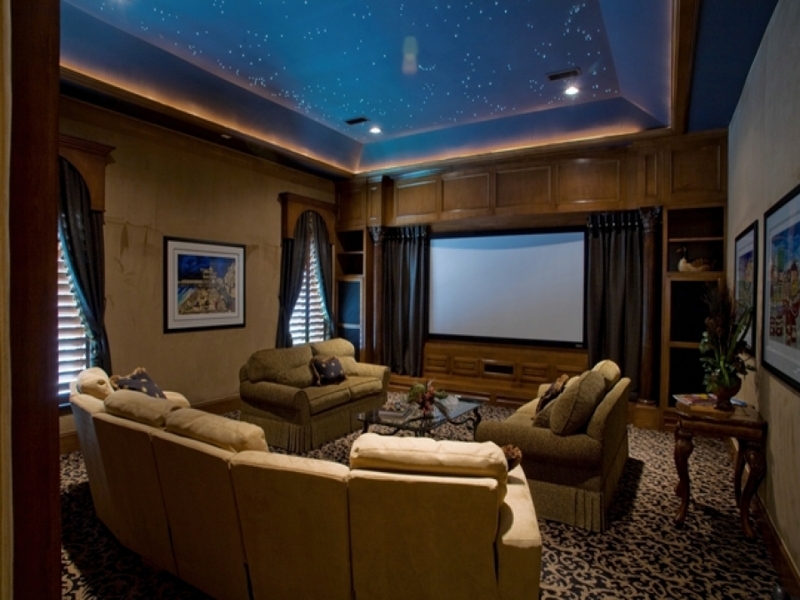 Let us help you create your media room. Don't forget about surge protection for your valuable equipment. A large TV hanging from your wall is a major liability. Make sure its installed correctly and you use a qualified electrician. We carry liability insurance and a lifetime warranty. Call us today and we will have an electrician in a fully stocked truck at your door.